“Hair Holds the Key”. 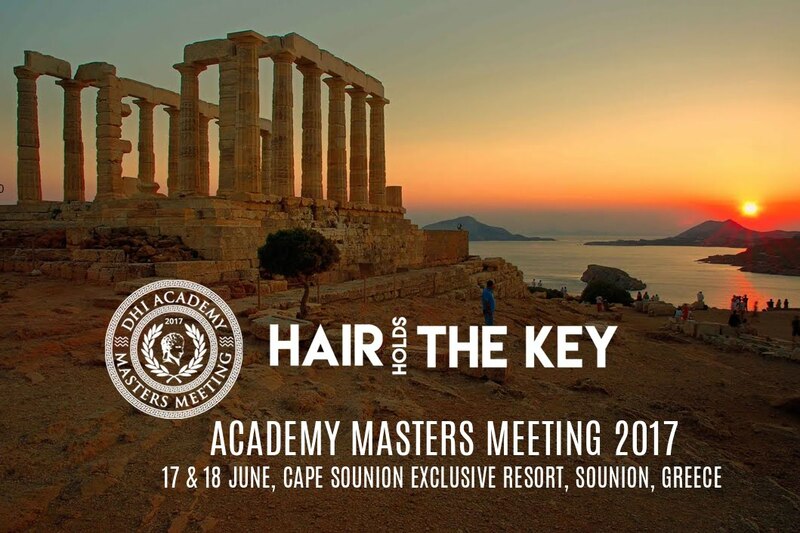 This is the 2017 Academy Masters Meeting slogan that will be held at Cape Sounio Exclusive Resort on the 17th and 18th of June. This year’s longstanding world medical conference for the diagnosis and treatment of hair and scalp disorders will be attended by leading scientists from all around the globe as well as top Greek University professors. The lectures, presentations and discussions will take place at the magnificent Cape Sounio Exclusive Resort, under the imposing ancient temple of Poseidon, the God of Sea. The attendees will have the opportunity to watch all the latest innovations introduced by DHI Global Medical Group in collaboration with the Medical School of the National and Kapodistrian University of Athens as well as significant scientific and medical presentations. During the Academy Masters Meeting 2017, live workshops will be held at the DHI Private Clinic at the cosmopolitan port of Lavrio, where FUE Technique started in 2003 and Direct Hair Implantation a few years later, to spread across the world. Also, the Academy Masters Meeting 2017 includes a gala dinner with Greek live music and many surprises for all who will attend.